This entry was posted in Archaeology, Bible Places, Israel, New Testament, Photography, Travel and tagged Israel Museum, Jerusalem, Josephus, Ministry of Jesus, Roman Emperors, Roman Tenth Legion. Bookmark the permalink. 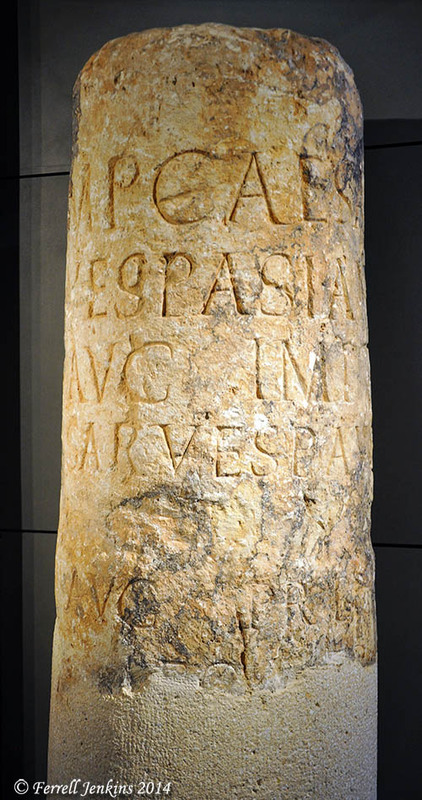 The Romans used Latin. Many of the characters look like our English letters. Great stuff! Do you allow people to republish your copyrighted photo? I am publishing a book on the preterist interpretation of Daniel and this photo would be great to include.